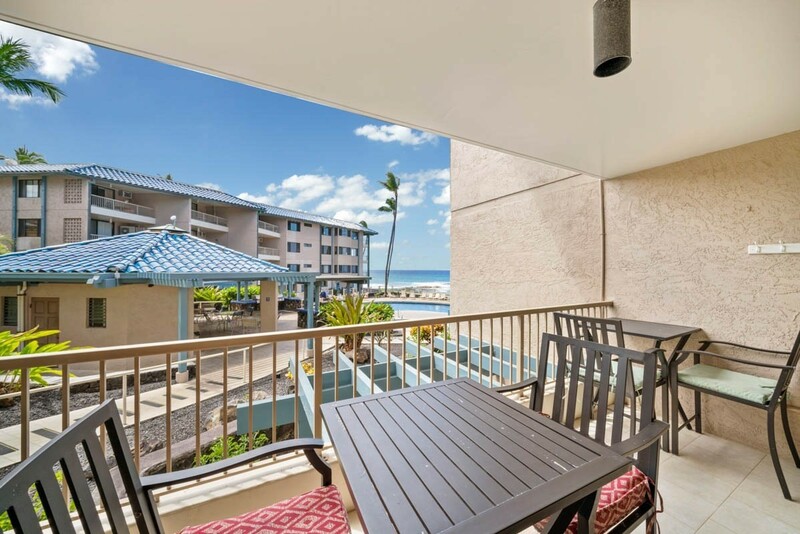 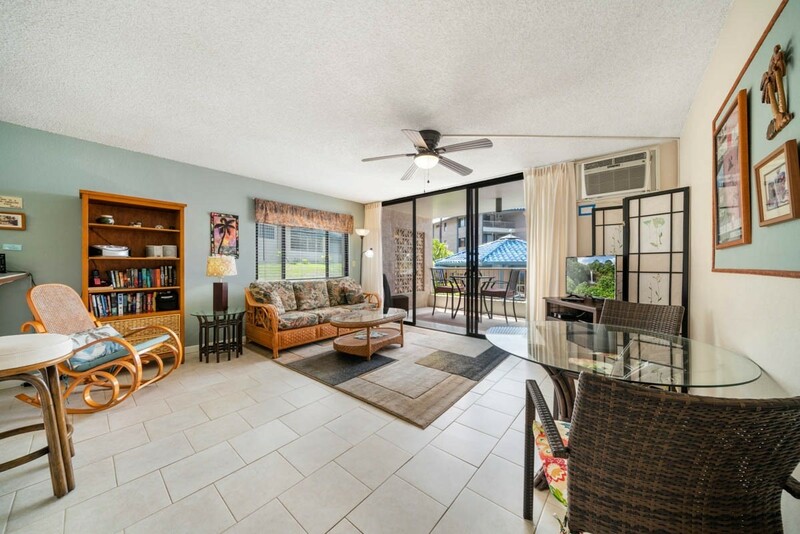 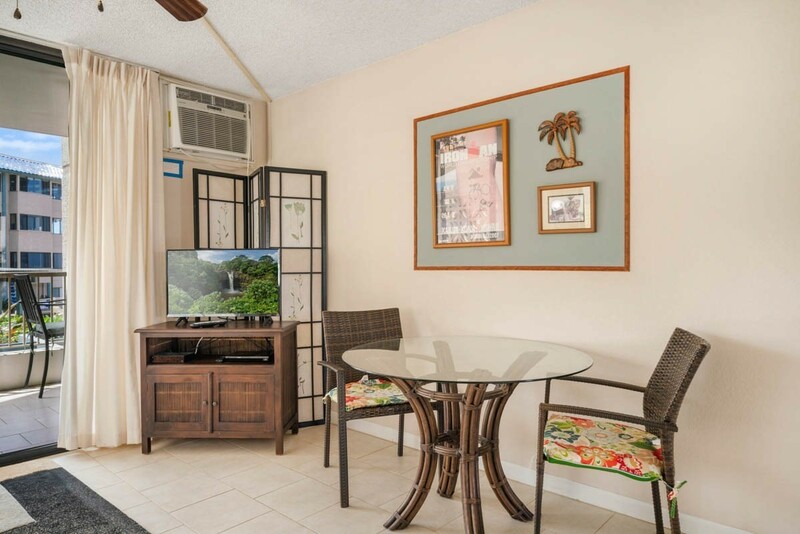 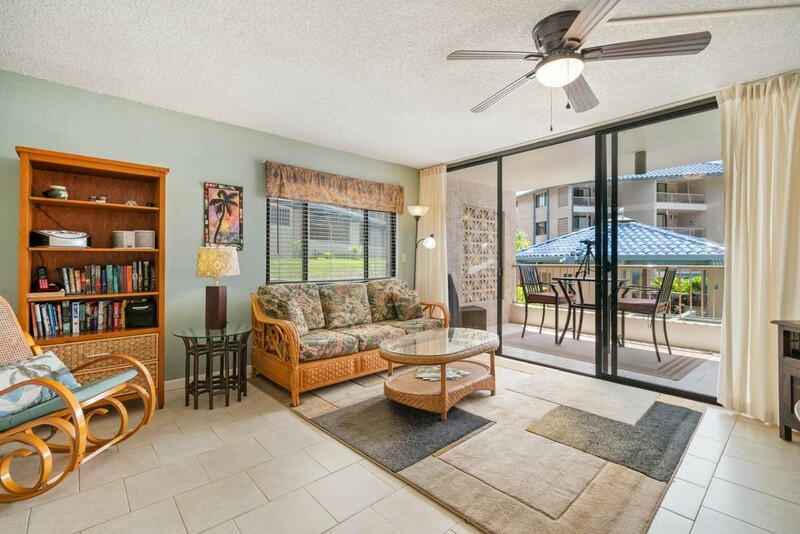 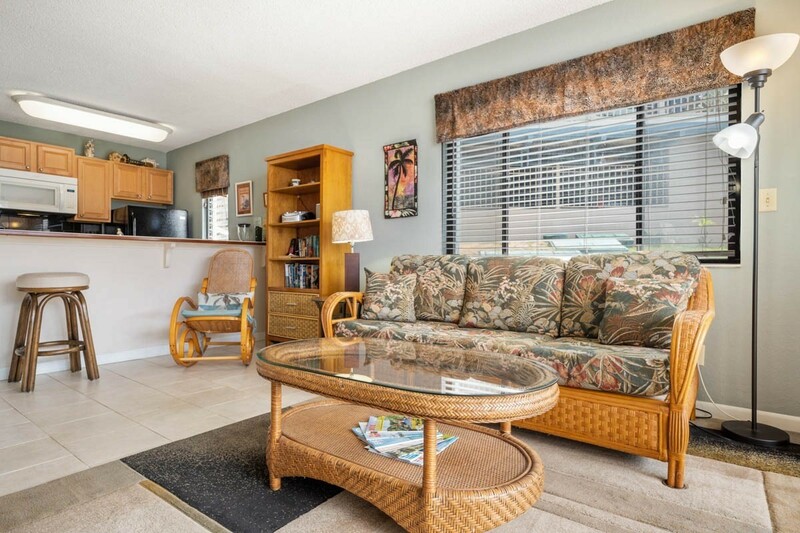 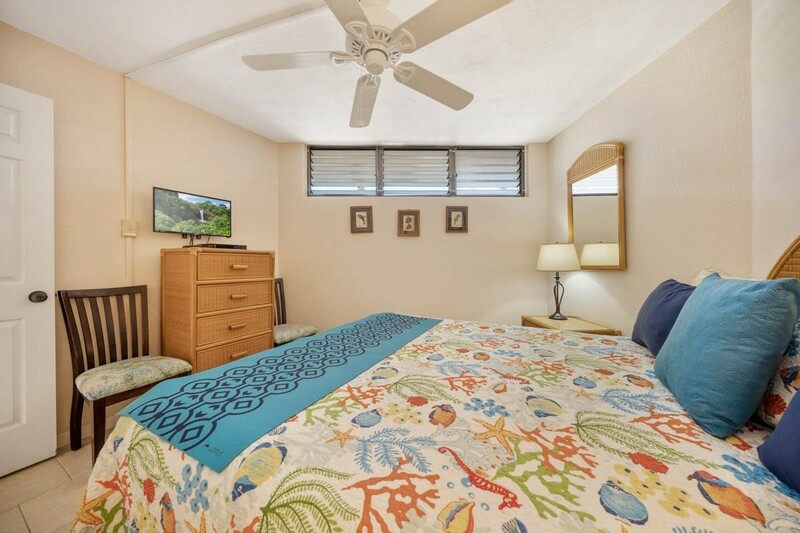 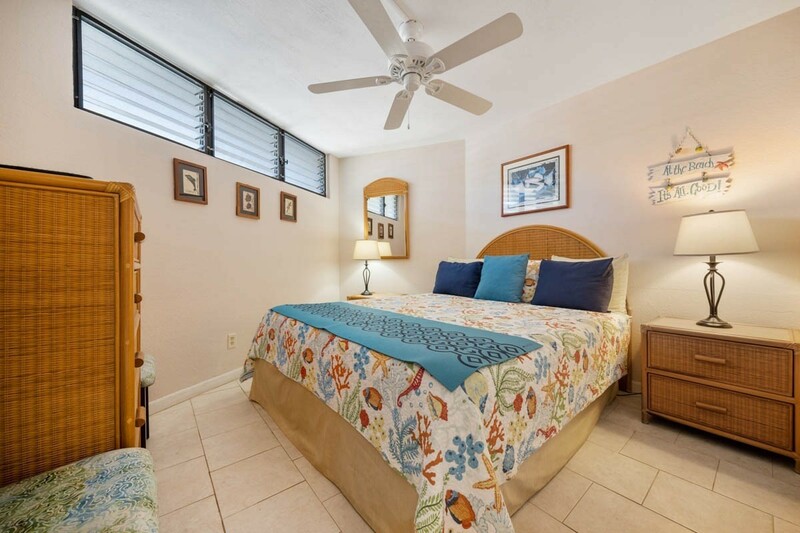 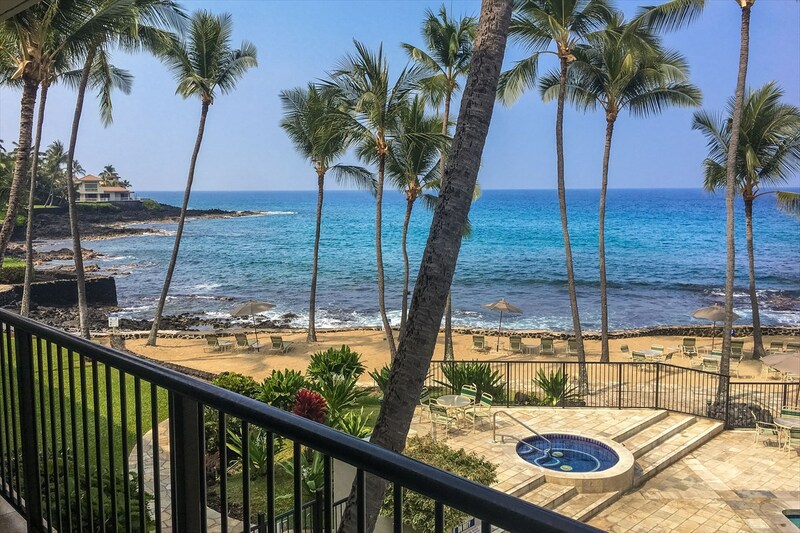 Well appointed Kona Reef end unit with ocean views.All tile floors for easy care living, fresh paint and nicely furnished. 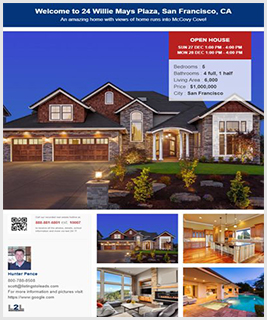 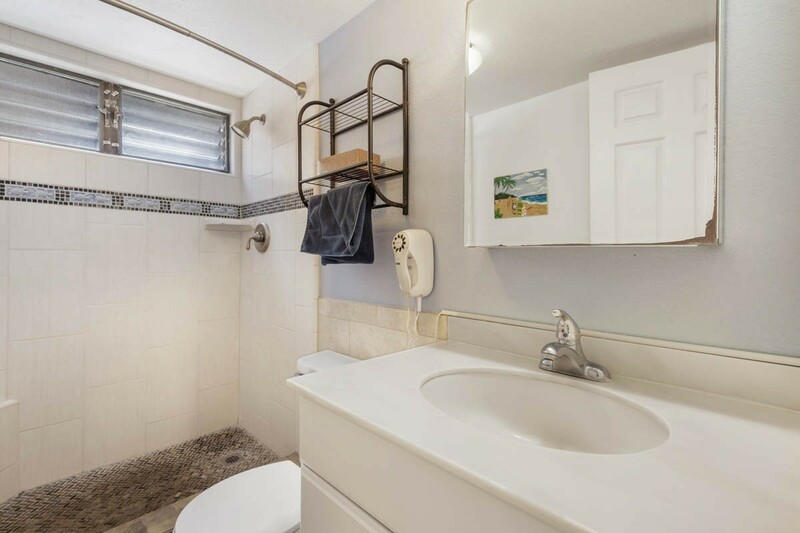 Convenient updated step-in shower with end unit extra windows. 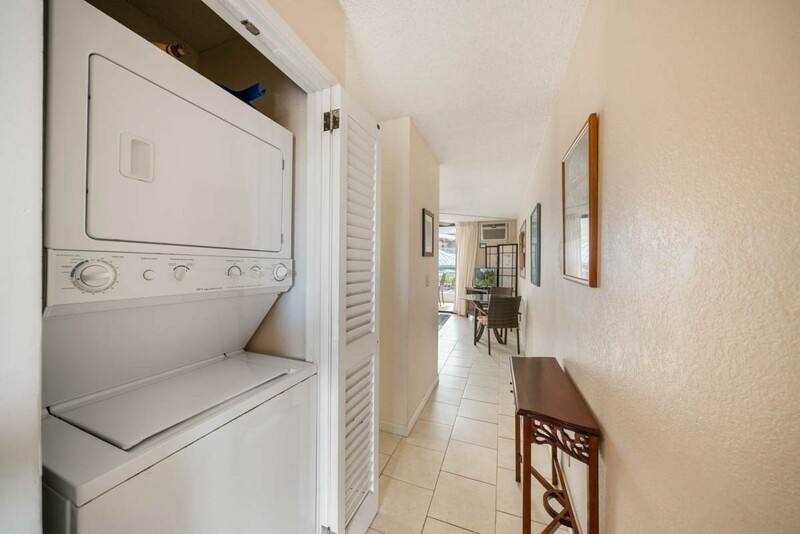 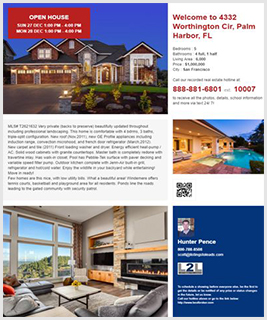 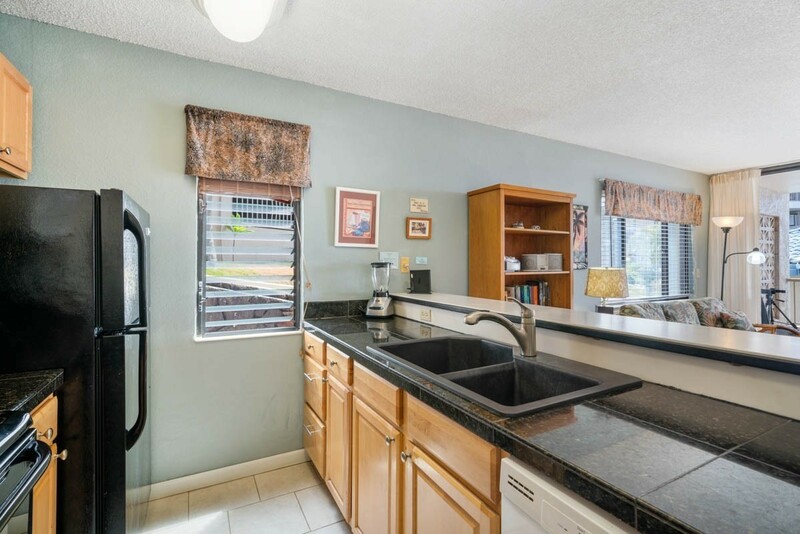 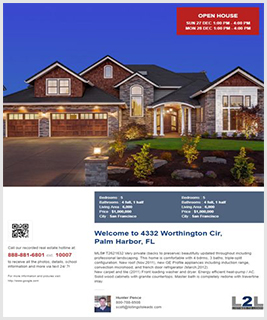 Granite counter tops in the kitchen, breakfast bar, Oak cabinets, and newer appliances, and a full size stacking washer/Dryer.The bedroom offers a King bed and wall mounted flat screen TV. 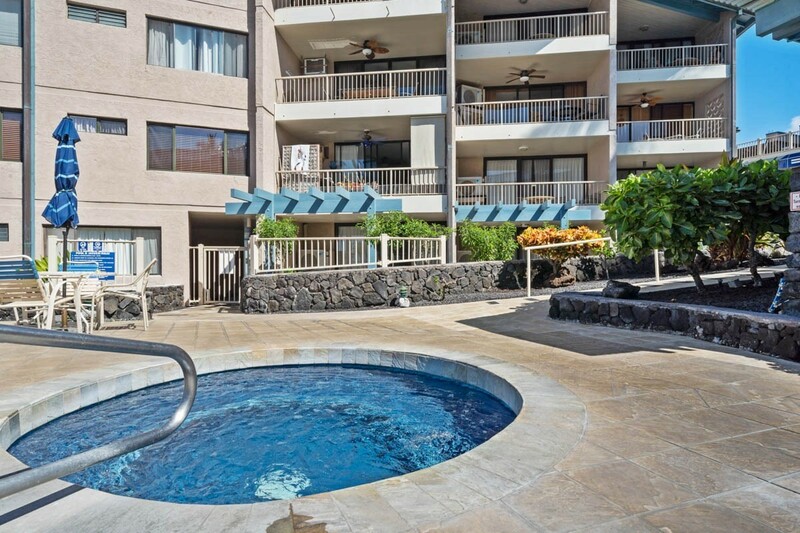 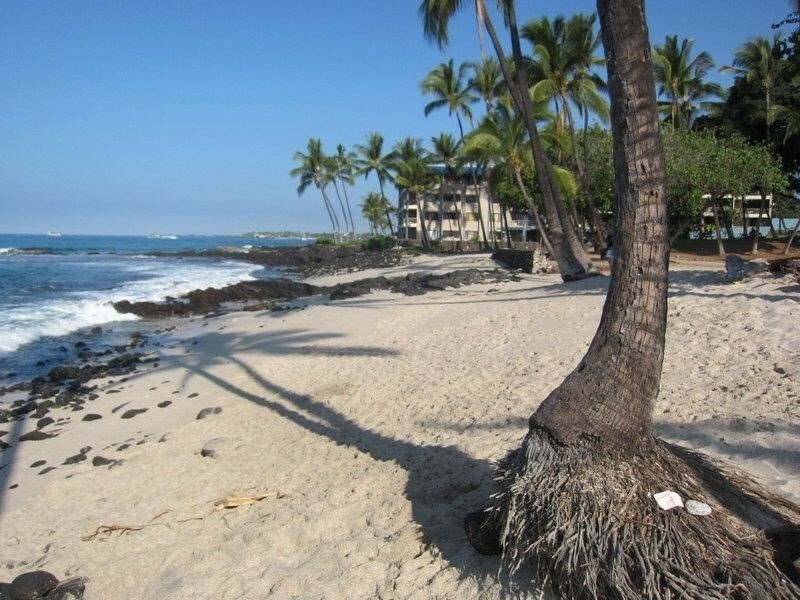 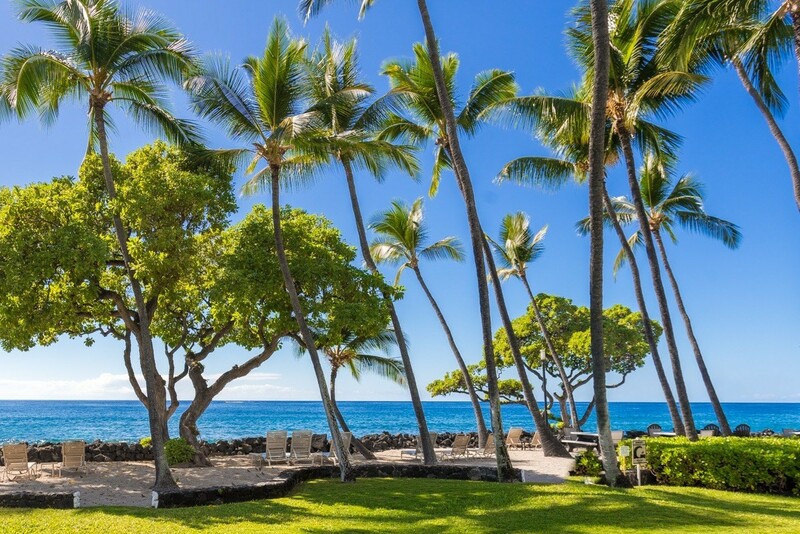 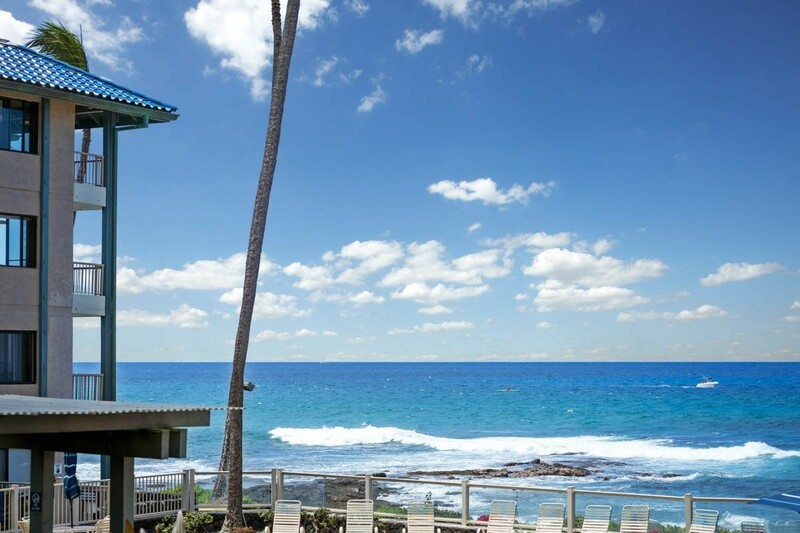 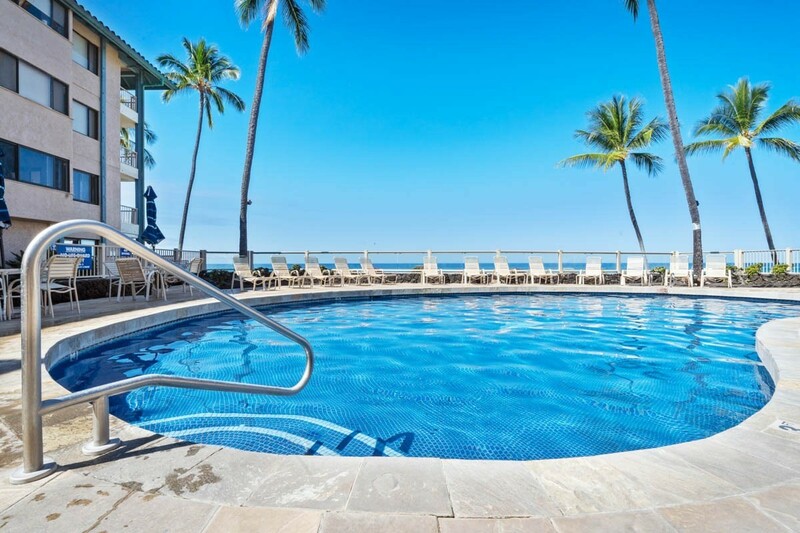 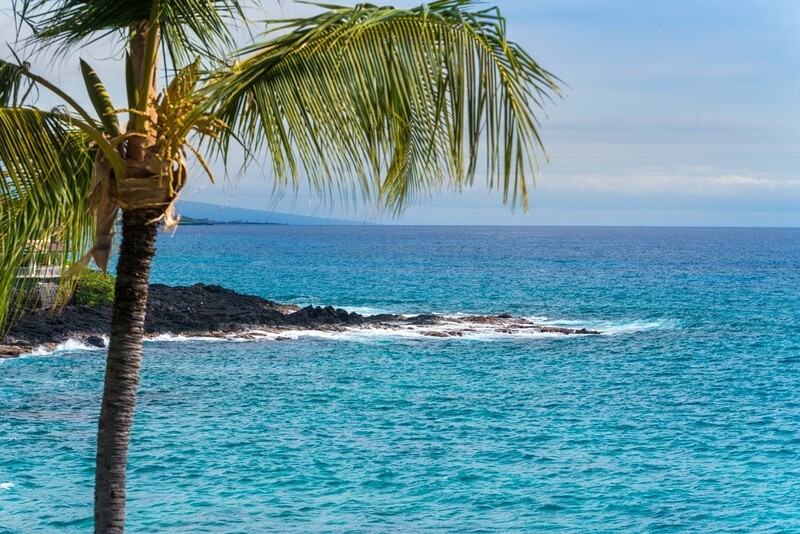 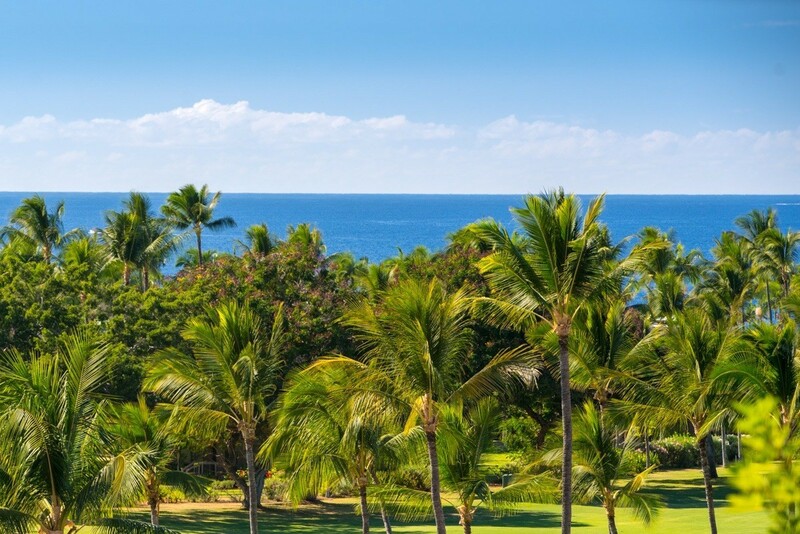 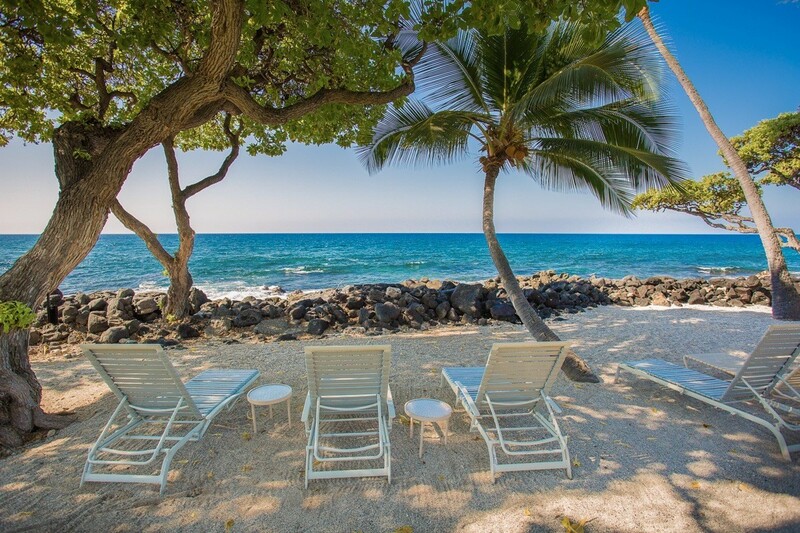 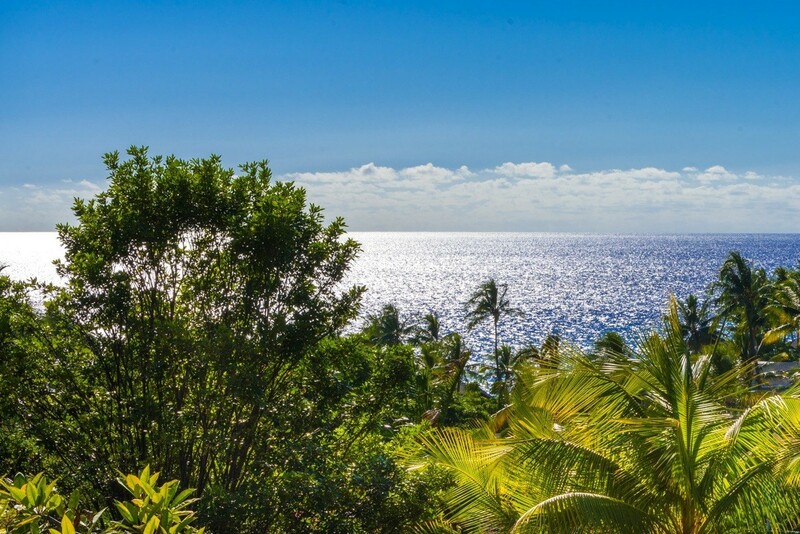 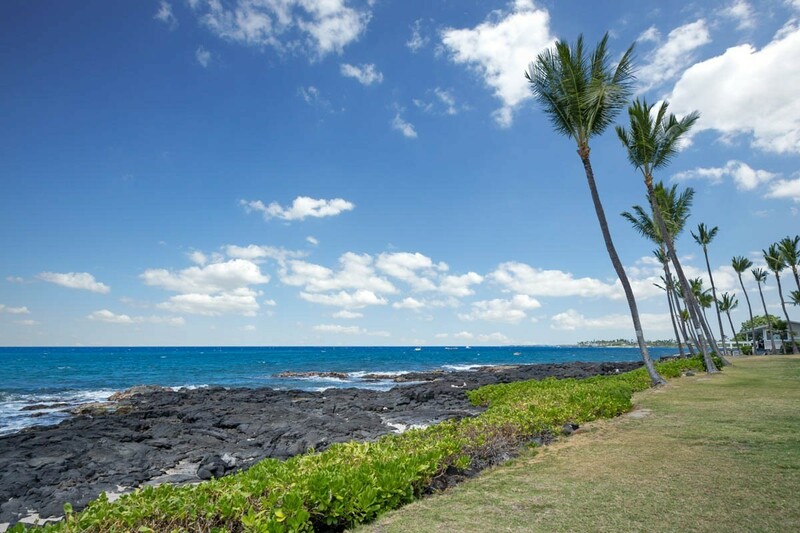 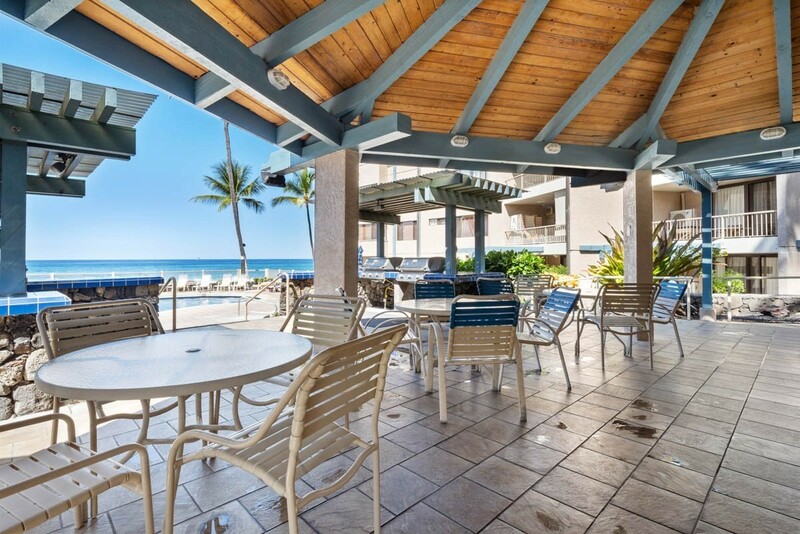 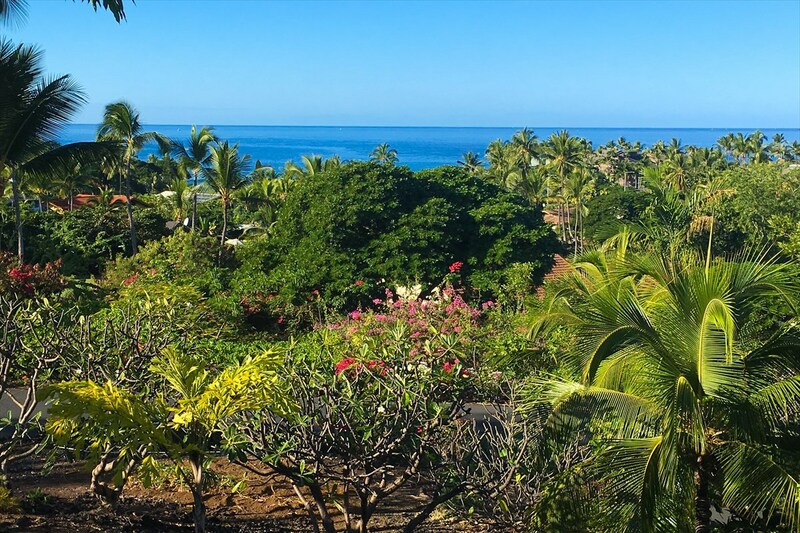 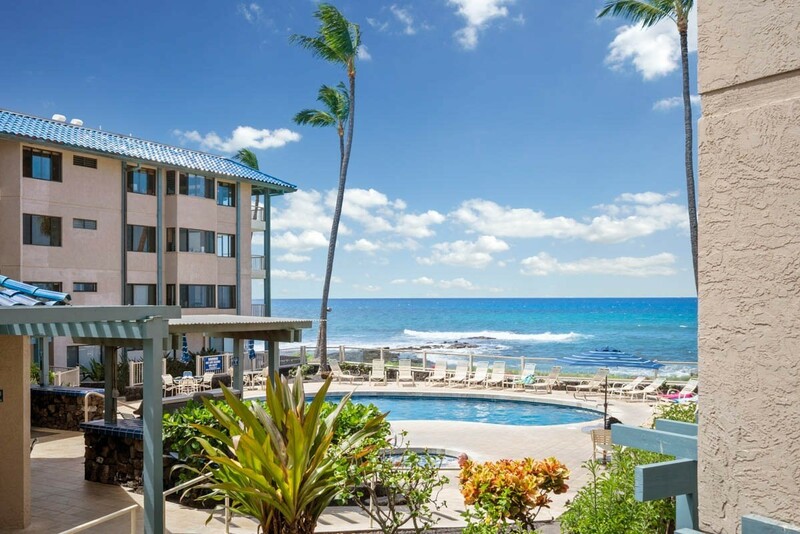 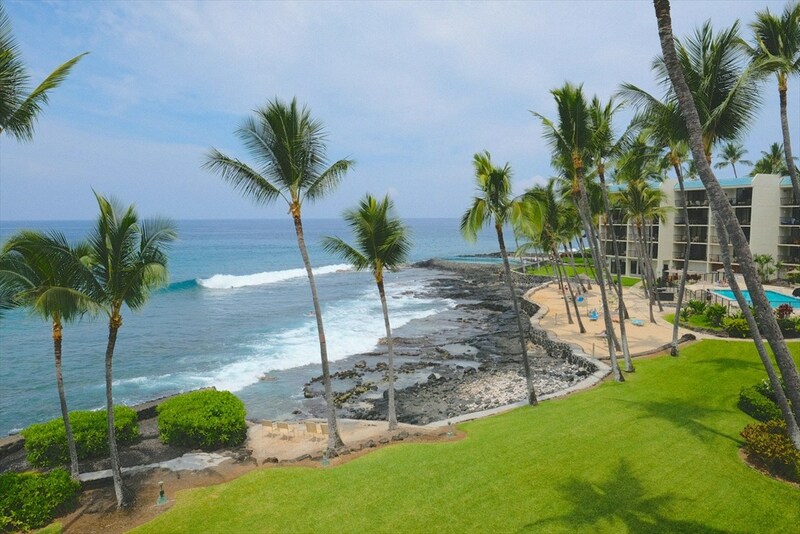 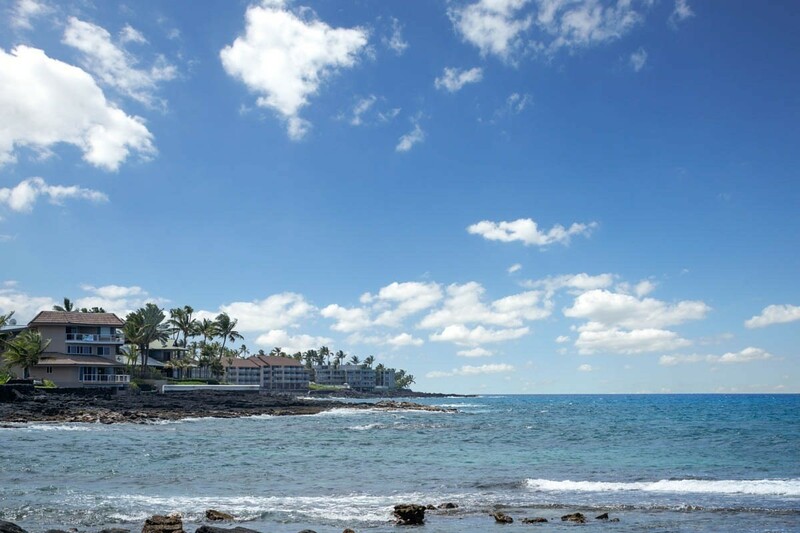 Kona Reef offers an ocean front pool and hot tub, covered outdoor BBQ pavilion and a lovely sandy beach right next door for surfing and swimming. 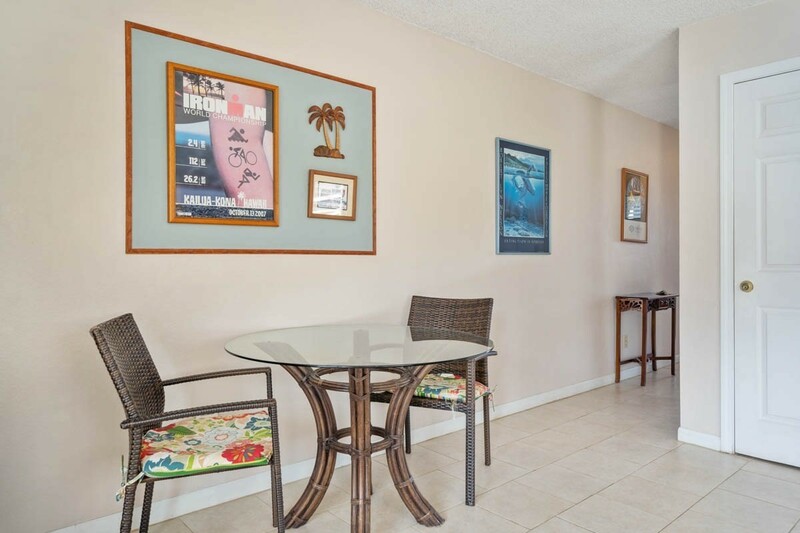 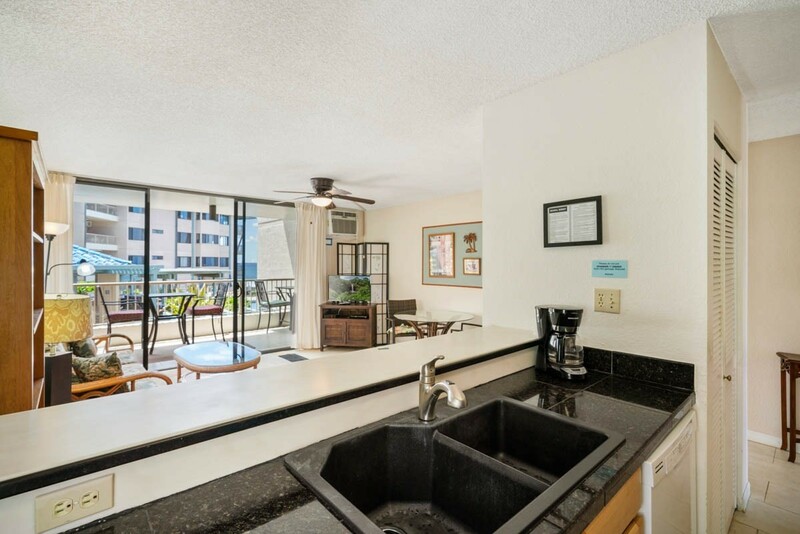 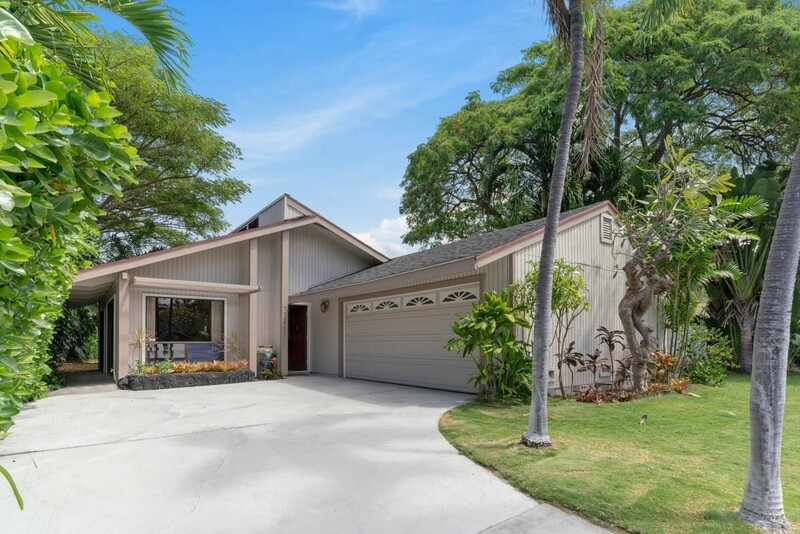 You'll enjoy covered parking, elevators, and just a short walk to historic Kona downtown shopping and restaurants. 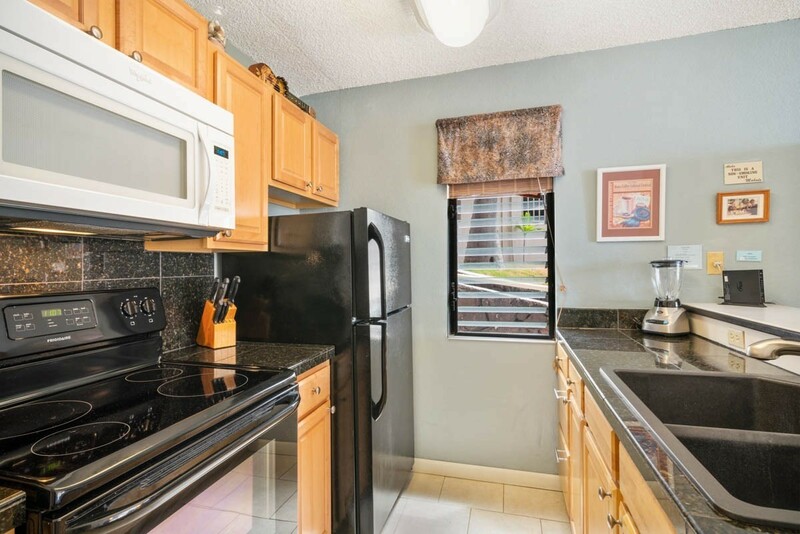 This condo shows very nice, and has has always been well maintained. 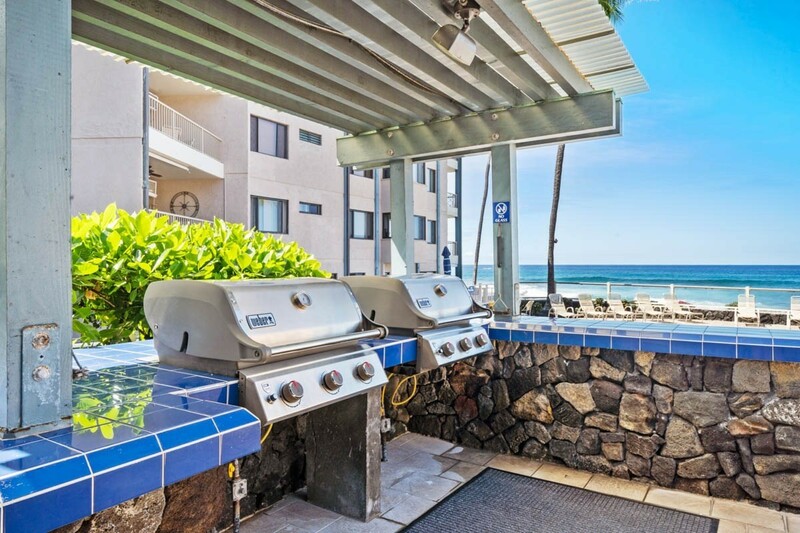 This is a successful vacation rental location.